Up until the end of July, Andy Falkiner’s little free library looked the part of an idyllic book nook. 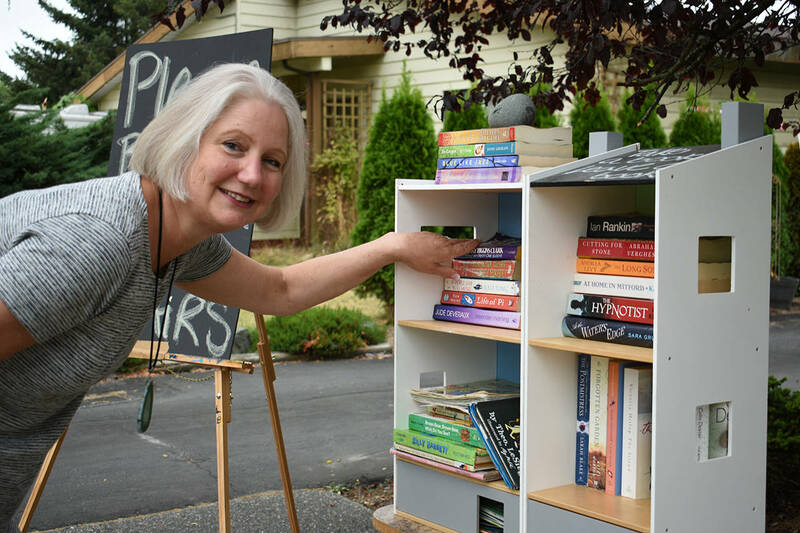 Situated at the end of her driveway at 5933 182 Street in Cloverdale, the little library featured a dollhouse full of Falkiner’s favourite books, two reclining porch chairs and a dog bowl of water. In front of the bookshelves, a chalkboard sign invited passers by to come and borrow her books. But on Tuesday, July 31, someone took the two chairs from Falkiner’s library. Upset, Falkiner posted about the theft on the Cloverdale Crime Watch Facebook group. But now, she’s says the theft has helped further the message of what her little free library is all about: community. “In a way she’s done me a favour,” Falkiner said about the woman she saw taking the chairs on security footage. “Because new people in the neighbourhood have gotten in touch” to offer books and support. And that, Falkiner said, was why she decided to create the library in the first place. “I think a neighbourhood should be a better place because we are in it, not a worse place,” she said. The library has been up and running since the beginning of June, taking frequent donations from Falkiner’s book buying trips as neighbours have begun borrowing the books. In the last month, it has taken on a life of its own. The library is often used by families with children, Falkiner said, with children’s books being in high demand. But novels are popular too, and Falkiner is happy to chat with anyone who’s stopping by to borrow them. The popularity and people around the library inspired Falkiner to take her community-building efforts even further. At the beginning of July, Falkiner hosted an English tea party in her driveway. She set up tables and chairs up near the road, set with china and cakes. A friend helped her decorate the area in pink and white bunting. She needn’t have worried. Fourteen people came to the tea party, and although few people knew each other, “they all interacted. We had some good laughs,” she said. 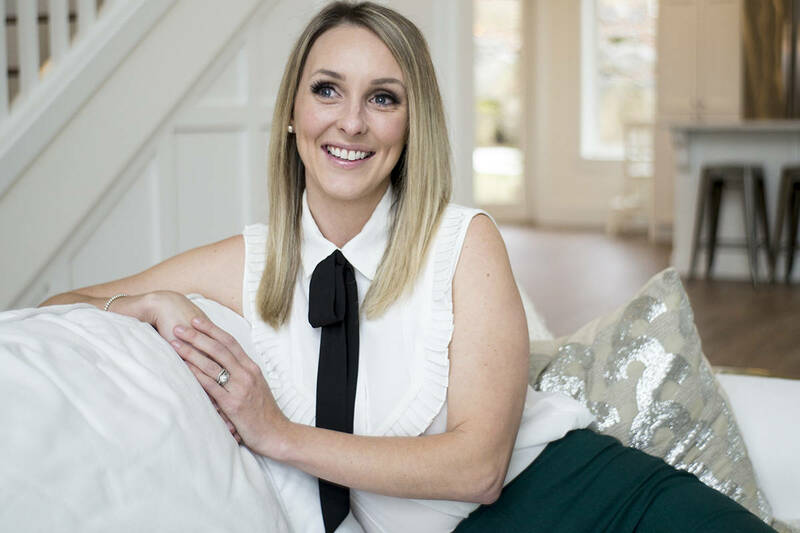 With the success of the library and the tea party under her belt, Falkiner is thinking to the next event: a reading night for kids three to eight and their parents, held in Falkiner’s picturesque front lawn. She’s hoping that will take place sometime in August, but hasn’t made any concrete plans. 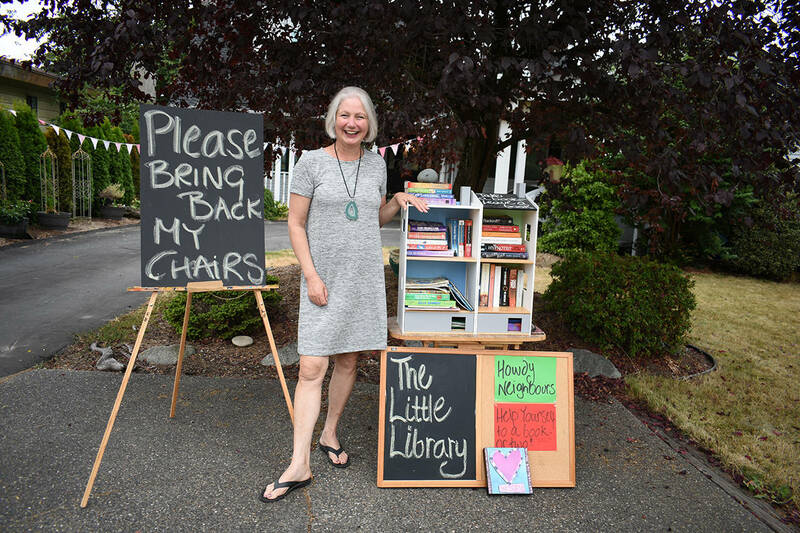 Until then, and likely after, the library will continue on, providing books and community to the people in Cloverdale’s suburban neighbourhood.